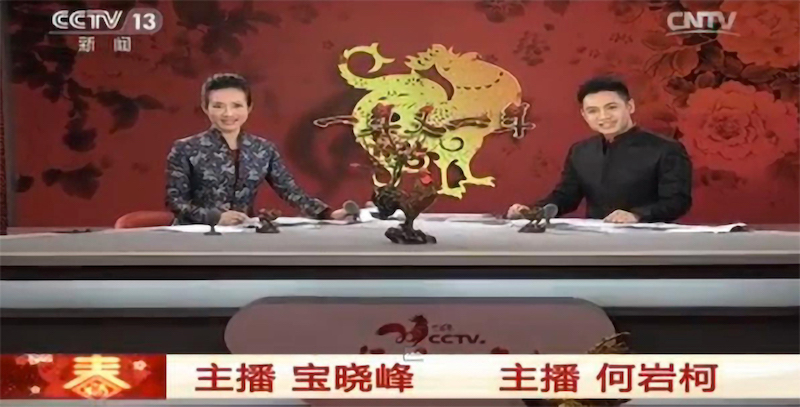 Since 1983, China has held a popular Spring Festival that is broadcast live across CCTV – China’s main news and media agency. The Spring Festival celebrates Chinese culture and tradition through the visual arts. It has come to symbolize and represent change, progress and innovation in Chinese society. From the beginning, CCTV has explored different formats and types of shows, as well as different types of media to best present the festival. 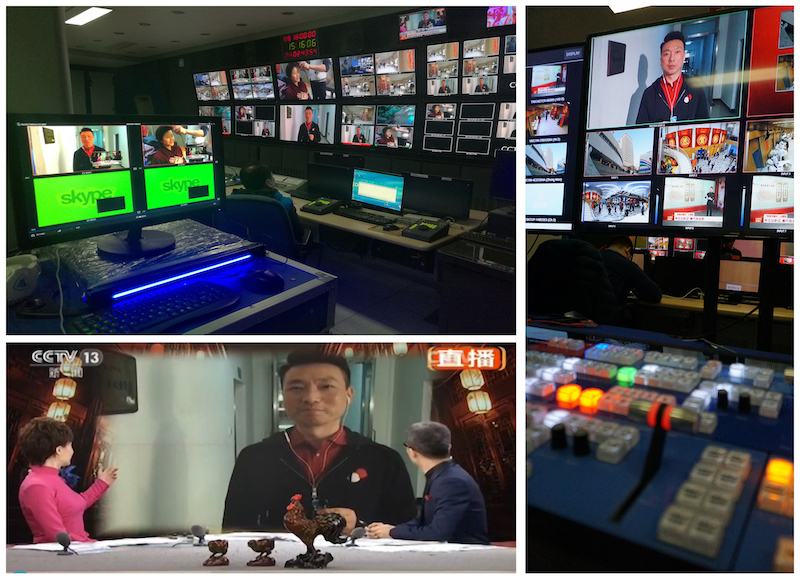 In November 2016, during NAB Shanghai, CCTV and NewTek developed a partnership that opened the way for new types of shows – and a new level of excitement – for the Spring Festival. China Spring Festival on CCTV, China's premier television network. Built-in, one-click streaming-in-real-time over IP greatly simplifies live workflows. 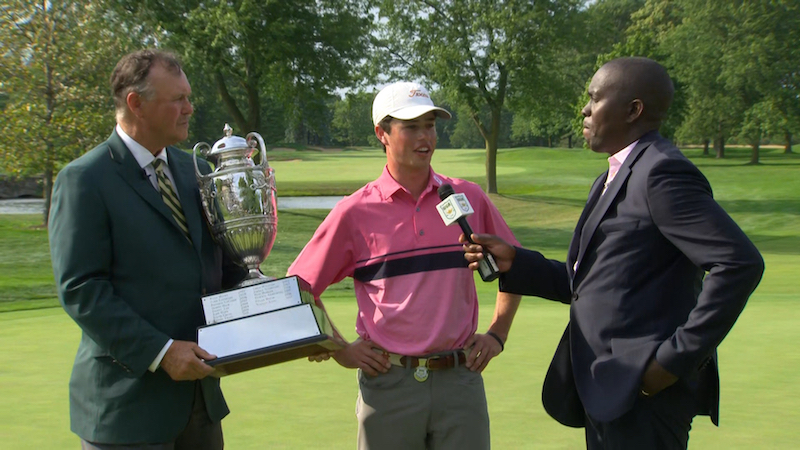 For the 2018 show, this was achieved using a NewTek TriCaster® TC1, NC1 Studio I/O Module, and by utilizing NewTek NDI® to establish an IP workflow. NewTek NDI is a royalty free bi-directional IP technology for transport of video, audio, metadata and communications over standard networks. The built-in, one-click, streaming-in-real-time function greatly simplified the live workflow. Meanwhile, switching to NDI as a network communications platform meant a reduction in cabling and complicated configurations across various environments such as OB vans, small studios, and broadcast control rooms. Further, NDI allowed for new media to be used in the multi-angle live production. The goal was to not only simplify the broadcast workflow, but also utilize macros to allow for a quick shift in look and feel depending on the presented environment. Different effects were added to the production using unique virtual environments, custom full-color video transitions, and sound effects. 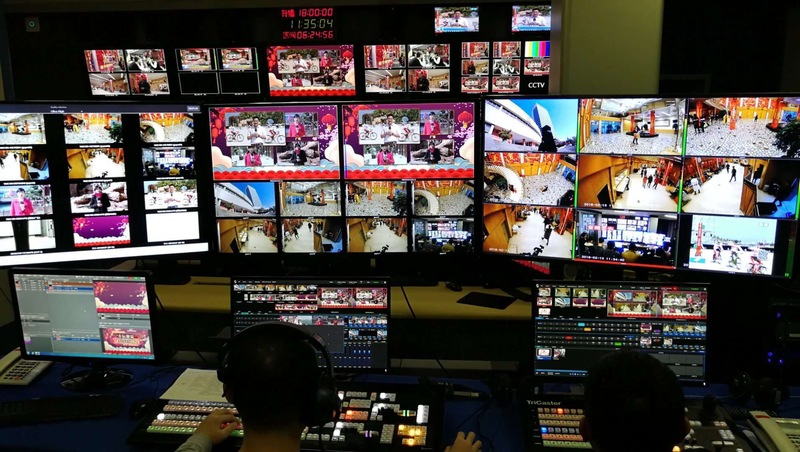 IP workflows at CCTV using NDI, TriCaster TC1 and NC1 I/O Studio module reduce complicated configurations across various environments including OB trucks, small studios and broadcast control rooms. As CCTV still uses baseband alongside an IP workflow, the NC1 Studio I/O Module was used to grab the signal from the IP control system, convert it into an NDI signal, and distribute it with as a high bitrate, low latency signal. This allowed for real-time, high-quality switching as well as transmission of live broadcast signals. It further allowed for critical interoperability with other equipment used for the broadcast. 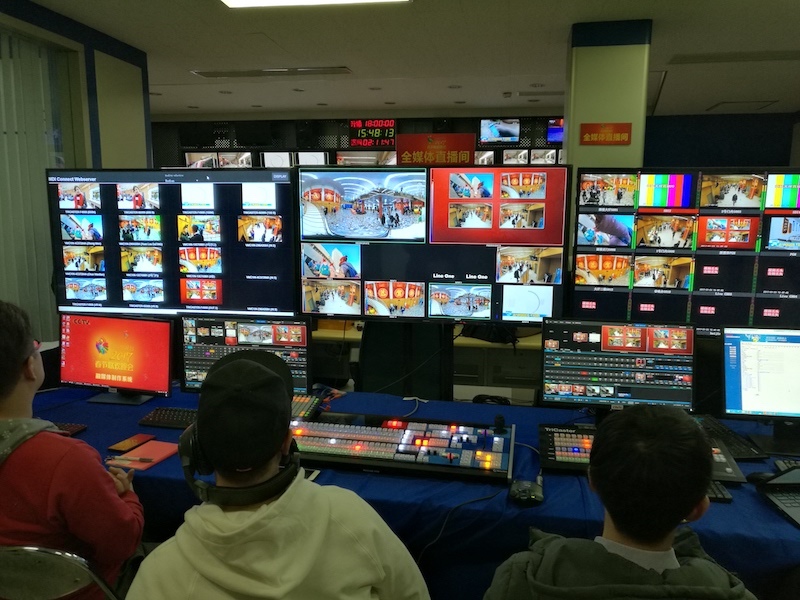 On top of the live show being broadcast on traditional television, the Spring Festival could also be watched through an app. This presented multiple viewing angles, allowing viewers to choose the screen and the angle they preferred. A collaboration between CCTV and NewTek began at NAB Shanghai in 2016. Constantly innovating and improving, CCTV is preparing an upgrade to 4K broadcasting using IP workflows in the future. 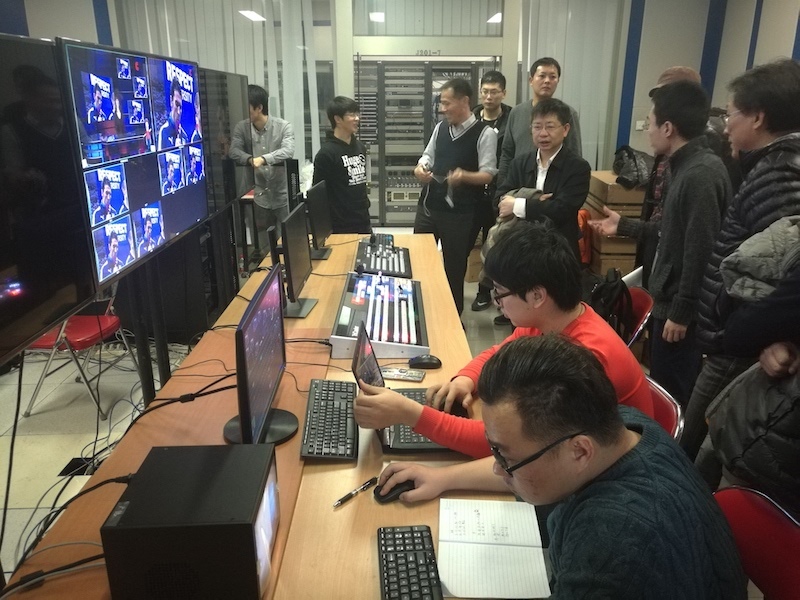 The NewTek powered workflow is now used for additional live broadcasts, including a New Year’s Eve special featuring a program called “Inside CCTV Studio.” The NDI configuration again allowed for quick source selection across a single network, regardless of the fact that talent and video sources were spread out for coverage. Shot for "Inside CCTV Studio" using a cell phone transmits to the control room over Skype to be used in a live shot. The cell phone camera input comes into the workflow via Skype on "Inside CCTV Studio." 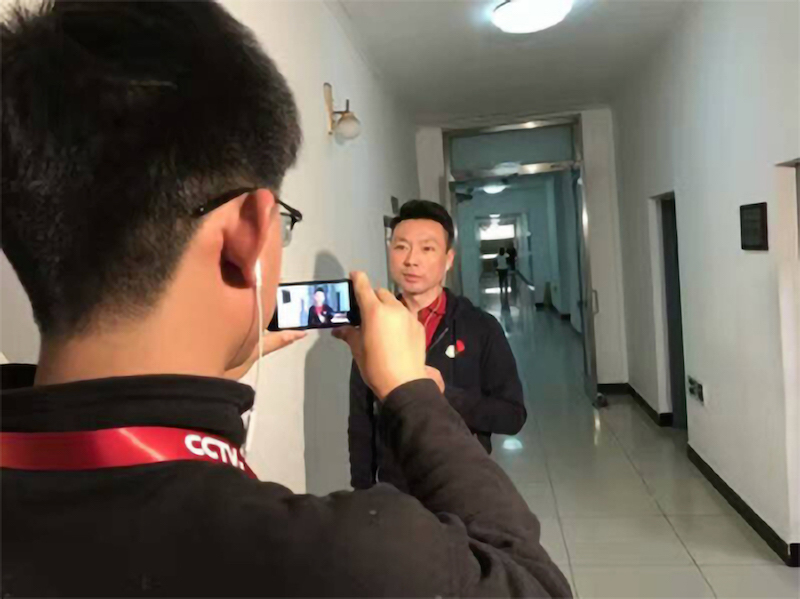 The result in all instances, according to CCTV representatives, is that the NewTek workflow made live production easy to operate, and massively reduced the required CCTV inputs. It also resulted in bringing a large variety of content to the Spring Festival Show. Further, the workflow is ready to upgrade to 4K, a critical need as CCTV is constantly looking to use cutting edge technologies in its broadcasts. In 2019, show producers are looking at setting up new positions using PTZ cameras and further simplifying the workflow by using less network cabling. For a show based on creativity, this freedom in workflow is critical – and allows the team behind the scenes to be as creative as the performance on air.